By Susan McIver, PhD., and Robin Wyndham. ECW Press, Toronto, 2013, 254 pages, paperback and e-book, $19.95. 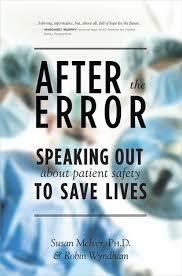 After the Error is a book that anyone interested in medical issues or issues around serious illness and medical provision in Canada should read. It is a collection of sixteen essays in the first part, and the second part has family and patient resources. There is a listing of online resources and further reading in an appendix. The first essay is by Barbara Farlow whose daughter was born with Trisomy 13, a genetic condition. The essay tells of the family’s determination to help Annie live to the best of her life – and the resistance that the family got from the medical establishment. 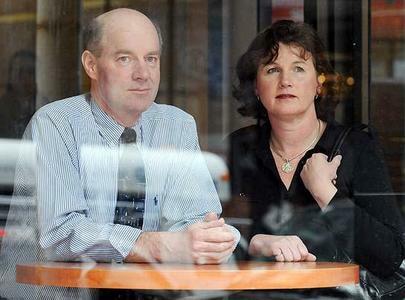 One doctor repeatedly asked if the parents wanted ‘death with dignity’. The child died in suspicious circumstances and the family found out that a DNR was quietly placed on Annie without discussion. The Lisa Shore case and its aftermath is detailed in this book in deep analysis. This book outlines how families are left to pick up the pieces on their own, but its overall tone is one of hope and a desire to improve service, not punish. The book shows how we can guard ourselves by careful documentation and provides a section in the second part on how to document what happened in the case of an error. It is Canadian-focused, and this makes it particularly useful as a relevant resource, for learning how to cope with our medical system. This book is not for everyone: there were parts I found hard to read, but if you want more resources for your family or yourself, this book is a good addition to your resource base. Since we are having dialogues about medical provision and ‘euthanasia’ and ‘assisted suicide’, this book provides a real-world catalogue of why we should not legalize medically provided death. I urge anyone with an interest in this subject to read this book. Purchase After the Error from the Euthanasia Prevention Coalition for a donation of $20.